I help people find their words. I work with writers, wanna-be-writers and 'but-i'm-not-a-writers' to unleash the power of their voice and get them writing. It doesn't matter WHY you want to write. It might be for deep soul healing, to create compelling business content, or to finally get your book out into the world. What matters is that you have a story that is waiting to be told. I can help you tell it. 1. Yes. You ARE a writer. 2. The world is waiting for YOUR voice. 3. Nobody can tell your story but YOU. Ready to unbind your wild, seduce your muse and release your voice? Join us for the 2019 Unleashed Writing Workshop. I wrote a book for you. I hope this beautiful little book is a companion, a guide, a map and a reminder. A reminder of your strength. A reminder of your magic. A reminder of your beauty. A reminder of your wild heart and your holy howl. 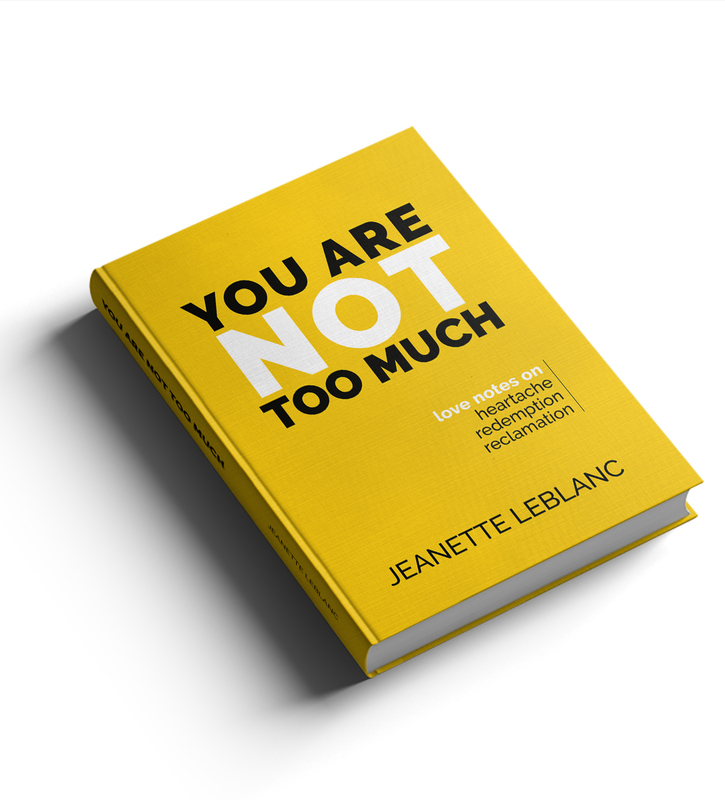 And a reminder that no, you are not too much. You never will be.You are exactly as you should be. Are you still making excuses for not writing? JOIN MY FREE 10 Day Challenge and gain access to ten simple, yet profound, practices designed to get you writing. 10 days. 10 Practices. My Gift To You.